Pig and Paint: Elf on the Couch...Eek! Merry Almost Christmas! 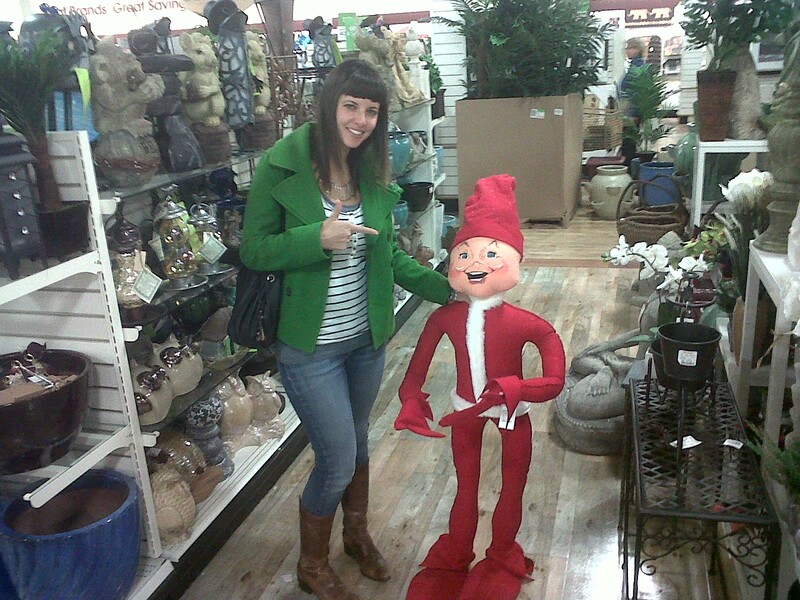 Whilst perusing the aisles of Home Good recently, I spotted my husband hustling across the store towards me holding a life-size Elf on the Shelf.....er, rather an "Elf on the Couch." 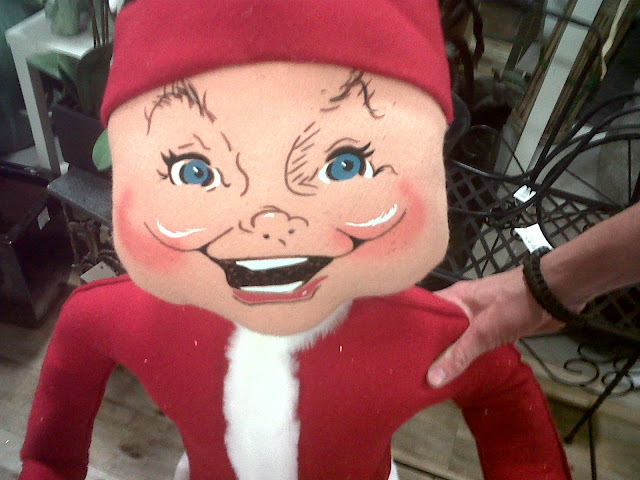 Could you imagine trying to hide this fellow around your house? I gave in. I bought 25 feet of cedar garland for just under $10 at Costco. Our staircase hand-rail was begging for it, and I couldn't resist. Brian put up a good fight, insisting that bringing plants indoors was too much like camping (of which neither of us are fans). But, in the end...the garland came home with us. Yipee!! Let me start by saying if I knew what a mess this garland would create, I probably wouldn't have purchased it. My floor and stairs were COVERED in garland trimmings. And then, once I had the garland in place, I discovered by way of my right thumb a SLUG that was living in the garland (eeeeeeek!!!). Nevertheless, I had put my big-girl pants on that morning, and was determined to uphold their values by and by, and consequently, the garland remains in our house. Hahaha, yes!!! Let's name him Beyonce! Miss you so much!